Cubivore: Survival of the Fittest (Nintendo GameCube, 2002) RARE ATLUS game!! Nintendo GameCube Cubivore: Survival of the Fittest (2002) Complete and Tested! 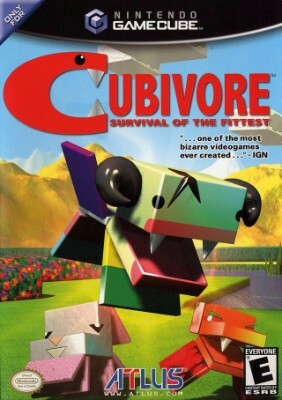 Cubivore: Survival of the Fittest (Nintendo GameCube, 2002) Tested! Cubivore: Survival of the Fittest (Nintendo GameCube, 2002) Authentic Tested !! Cubivore: Survival of the Fittest (Nintendo GameCube, 2002) Fast Shipping!